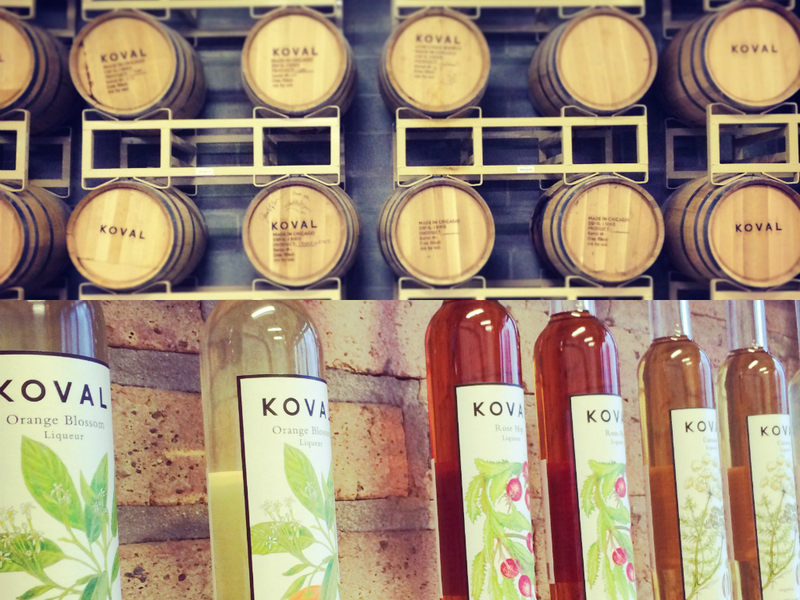 for James’ Easter present, I arranged for us to take a tour of koval, the first legal distillery in Chicago since prohibition. James received a bottle of their rye bourbon for Christmas, and he became an instant fan. run by a husband and wife team, koval offers a well-edited range of small-batch, single-barrel whiskeys, a vodka, and hopefully by July, some gin. the first picture is a shot of their barrels, which are handmade out of American oak in Minnesota. the second shot is their line of liqueurs. the bottles have an antique apothecary vibe to them with their shape and the label images, but the typography used for the brand’s name is so modern, and I just really like the vibe. they tasted great as well, especially the ginger. they’d make a great present for our roommate, Jesse, so I’ve made a mental note for the next gift-giving opportunity. we had a chance to sample all of their current offerings, and my favorites were the white rye and the bourbon. I’m not a whiskey girl by any means (I prefer vodka or tequila), but the bourbon was smooth and warming, and I was surprised to like it as much as I did. the white rye was naturally more up my alley as it tasted like a super smooth and mellow vodka. James’ favorite was the four grain, which tasted close to a blended Scotch. after sampling to our hearts desire, we purchased a mini variety pack of the white rye, the bourbon, and the millet to bring home. 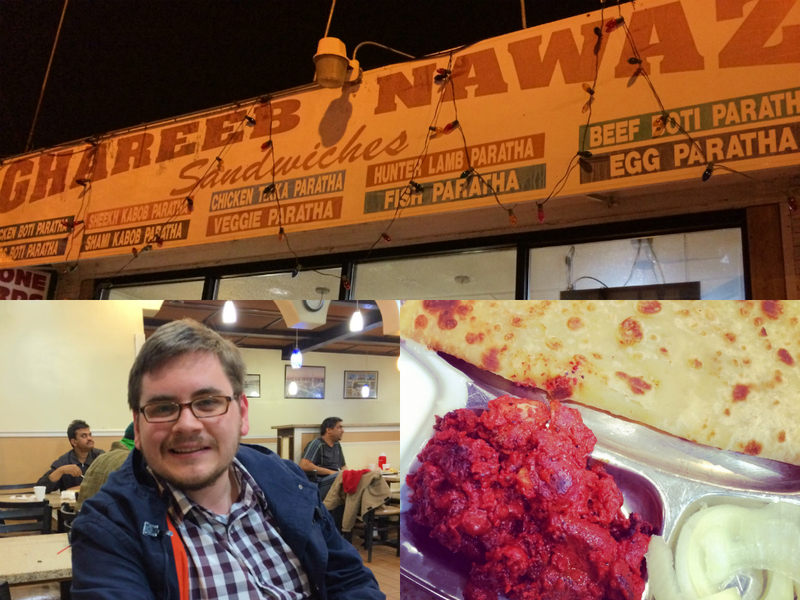 for dinner, we went to one of our go-tos for Indian/Pakistani food: ghareeb nawaz. this was just a 5-minute drive from the distillery, so it was an obvious choice. if you’re looking for a fancy setup, this place isn’t it, but the food is simple, delicious, and priced-right. I ordered my go-to: chili chicken paratha. the chicken was moist and spicy, and the paratha was warm from the oven. James even had a few bites of the chili chicken and liked it, which was surprising since he’s not a fan of spicy food at all. maybe 5 years of exposing him to different foods and different spice levels is rubbing off! the total for our two paratha plates, a can of RC cola (it was a Chicago night, all around), and a huge chicken samosa split between the two of us? $8.40, with tax. I love little corner places like this that give delicious, filling meals at reasonable prices. Chicago has great food, at all different price points. I have a deep appreciation for small local places doing their thing and serving really, really good food. if you’re ever up north, stop in. any other Chicago gems I’m missing out on? let me know! this was not a sponsored post, just sharing the Chicago love.